Learn About the Intriguing Wares Crafted by the "Mad Potter of Biloxi"
George E. Ohr (1857-1918), who deemed himself the "Mad Potter of Biloxi," crafted art pottery more than a century ago in Mississippi. 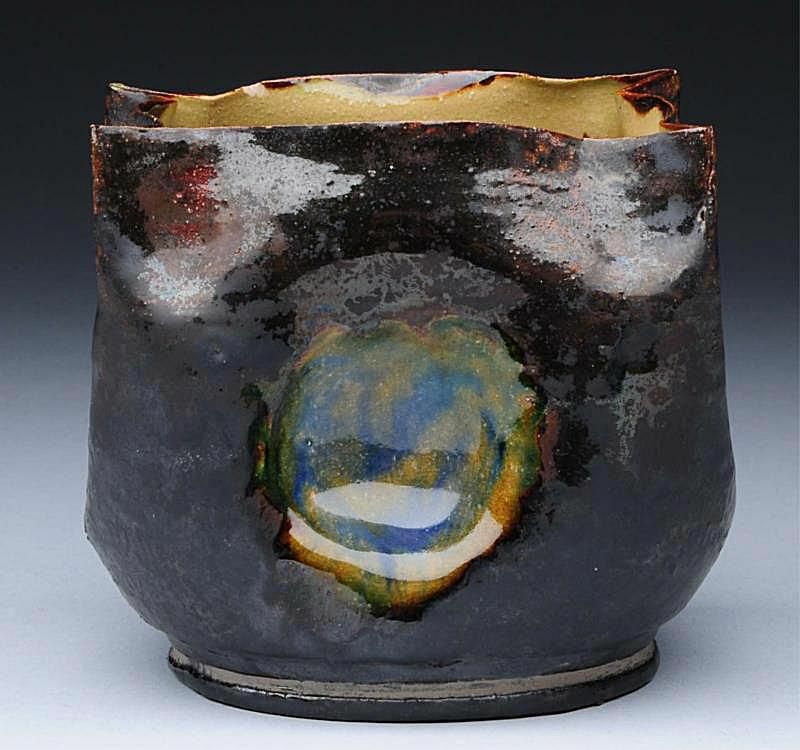 His "mad" vision for many of his abstract wheel-thrown works were well ahead of their time in terms of style, acceptance, and popularity although he did have his share of fans back in his day. Today, the forward feel of his pieces have some decorative arts scholars viewing him as an early pioneer in the realm of modernism. Of course, other people look at Ohr pottery and just don't "get it" in terms of the high value. Many of his pieces aren't exactly what you'd call pretty in terms of the styling or the coloration, but it would be hard to argue that they aren't indeed intriguing. Ohr served as an apprentice to Joseph Fortune Meyer, who later worked at the famed Newcomb College, in New Orleans in 1879. His interest in pottery bloomed as he traveled through 16 states in the early 1880s visiting varied individual potters and pottery companies to learn techniques and gain inspiration for his own work. In 1882, he returned to New Orleans and was employed by William Virgin Pottery, according to the Ohr-O'Keefe Museum of Art's website. He returned to Biloxi to build his first pottery studio in 1883 with his paltry savings of just $26.80. He dug clay from the Tchoutacabouffa River to craft his first pieces. By the early 1890s he was aptly describing himself as an "art potter" and inscribed this designation on a ewer he made. In 1892 he fashioned what is known as the "monumental urn," an uncharacteristically large piece on display at the Ohr-O'Keefe Museum that has a classical look about it when compared to the freeform shapes most collectors and historians associate with this artisan. Along with many other now well known artisans and companies, Ohr displayed his wares at The World's Columbian Exposition, also known as The Chicago World's Fair, in 1893. He exhibited at other shows and events over the following decade, and was featured in many magazines and journals highlighting art of his time. He earned a silver medal at The Louisiana Purchase International Exposition held in St. Louis, Missouri in 1904, where the work of individual artists was emphasized. His craft continued to evolve during this time, and he eventually denounced glazed pottery to concentrate on more freeform sculptural pieces, according to the Ohr-O'Keefe Museum. He also began to experiment with different types of clay to create his bisque wares. Quite the character who purportedly thought very highly of himself, with a long flowing mustache and an apparent propensity for being photographed while hamming for the camera, his studio became a tourist attraction on the Mississippi Gulf Coast with visitors flowing in from around the United States. His wares were clearly popular, with many purchased as souvenirs, but not viewed on the genius level he seemed to be seeking at the time. Shunned when he submitted his work to The Smithsonian as a contemporary in 1899, it wasn't until the 1960s that his pieces were recognized for their brilliance by collectors and art historians. The pieces he submitted to the museum were finally recorded as part of The Smithsonian's collection, after being broken and battered about, 87 years later. Now Ohr's vessels are eagerly sought by advanced pottery collectors for great sums and displayed with reverence in The Metropolitan Museum of Art in New York in addition to the Ohr-O'Keefe Museum in Biloxi along with other venues recognizing decorative arts across the country. To visit the Ohr Pottery Price Guide to see more examples and learn about the high value of Ohr pottery, click here. Did You Know Patek Philippe Created the First Wristwatch?